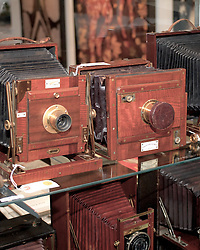 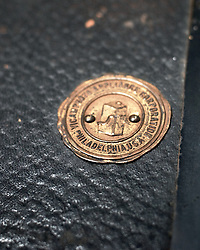 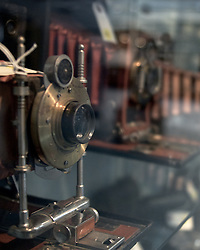 November 18, 2011 - Philadelphia, PA; An impressive collection of more than 350 old cameras will be put up for auction on Saturday, Nov. 19, 2011 at Fuller's Fine Art Auctions in Philadelphia, PA. 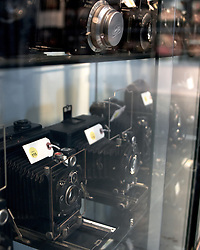 Highlights of the collection are "Worlds fastest Lens", the first motorized camera and a custom build Leica 'Reporter' for NFL Films. 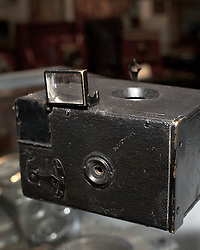 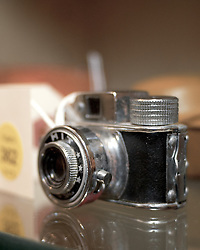 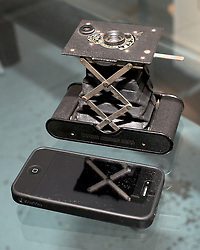 The cameras were collected by Edward Kaprelian (1913-1997), who after WWII became an expert on camera and lens technology. 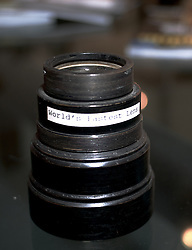 In May 1945, the U.S. Army seized more than 2,000 Carl Zeiss lenses from Germany as "war reparations" and turned them over to Kaprelian, who was then serving as Chief of the U.S. Army Signal Corps Engineering Labs in Fort Monmouth, N.J.
Kaprelian went on to become an avid collector of photographic equipment and materials during his lifetime and amassed a large collection of important cameras spanning the history of photography.